Ask fellow campers about "Y Lazy R RV park" and nearby attractions. We arrived, found our site, dropped a check in the office box, and pretty much were done. Very little interaction with the staff. The location is about 35 miles from St Mary's so you have a drive to get to Glacier NP east entrance. We selected this campground because it is located near the historic Great Northern Lodge where our friends were staying. 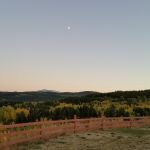 Up on a bluff, the views to the south and east are nice, and you can see the mountains at sunset. We camped at Y Lazy R RV park in a Motorhome. Glacier National Park to the north, Browning has the Museum of the Plains Indians with outstanding displays of Native American crafts. Pulled in with a 3 night reservation-ended up staying 5 nights. Grass parking was a bonus after parking on gravel or concrete for 6 months. You are allowed to wash your unit. Wonderful host who keeps the grass mowed and watered. Super nice lady and great RV Park. We camped at Y Lazy R RV park in a Fifth Wheel. this is a beautiful understated campground. We camped here in a 42 foot motorhome. The owner is very accommodating and the drive into the campground is about three blocks through the small town of East glacier. I'll hook ups work great. The scenery was outstanding. You can walk to a number of restaurants for dinner or over to the lodge in the national Park Pa East glacier. I'll hook ups work great. The scenery was outstanding. You can walk to a number of restaurants for dinner or over to the lodge in the national park. The only problem I had was the loose dogs running through the park from the out side neighborhood as well as some of the campers. There was nowhere really to walk your dog depending on how many dogs were running around. I think us they could simply put in a fenced dog park. Will definitely be back ! We camped at Y Lazy R RV park in a Motorhome. Sweet little park very convenient to Glacier National Park. Located on the Indian reservation so you drive through the village to get there. Road is a little rough but don't get discouraged as the park is worth it. Very nice laundry room. Nice mountain views. You can bike/walk to the bakery (which has a nice hiking shop inside), the Mexican restaurant (as well as others) and the lodge. There is more serious shopping in Browning which is about 15 miles away. There are no leash laws on the rez so you will see loose dogs running through the park...all of them friendly so far. I did get my share of doggie love while staying here. Verizon gets a good strong signal here. All in all we thought this was a great bargain at half the price of the other RV parks close by. We would definitely stay here again. We camped at Y Lazy R RV park in a Travel Trailer. This is a great location to make a full circle through Glacier National Park by going in one entrance...taking the "sun road"...coming out the other entrance and making a full circle back to the RV park....just make sure the "Sun Road" is open. We are here on June 23 and it is not open yet! We'll be here two more days and hoping that situation will change. As others have said, this is just a basic place to park and take a break on your big Glacier NP trip. Quiet lawn parking on the furthest southern edge of the town. We arrived the last week of September, just a few days before pretty much everything in town was shutting down for the season. Everything in, and to do, in Glacier NP proper was already closed. Easy walk from this campground into town for dining and shopping, post office, etc. I didn't even realize this campground had restroom/shower facilities until I read the other reviews just now. The site itself was grassy, hookups worked perfectly, and was reasonably level. I may have used just one block to level out since I'm pretty crazy about that sort of thing. It is not "next to" any railroad.. that's across the other side of town from you.. and if a train even that close bothers you, well, I don't know what to tell ya. We never heard a peep. We were delighted with the spectacular view and quiet setting here. Only one or 2 other campers while we were there. Cows mooing in the distance. Never saw the owner/operator - just did everything over the phone and dropped payment in an envelope at the little entrance booth/shack. My only gripe would be the bright sodium street light just at the entrance. Why do so many RV parks insist on these things!??!? But otherwise probably one of my favorite sites of the trip. We camped at Y Lazy R RV park in a Motorhome. Not much to East Glacier. I was expecting more of a gateway town like West Yellowstone! Serranos Mexican was outstanding. Great place!! The park is a quick walk to town: cafe, restaurant, souvenir shop, pottery/museum, bakery and market. 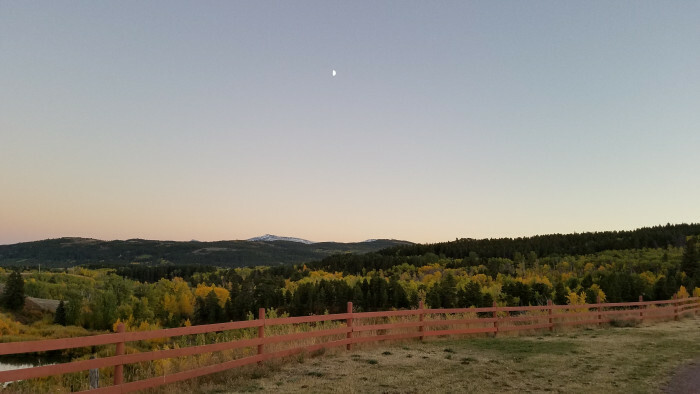 It's a quick drive to Two Medicine and has great views of the mountains. The owner greeted us right away and was great all week. The showers didn't have heat and could have been a tad cleaner but we just showered in the RV and it's what we expected anyways. Very rustic, small, quaint place. Highly recommended. We camped at Y Lazy R RV park in a Motorhome. Check out East Glacier village. You can also walk under the train bridge and visit the big lodge hotel. It's historic and beautiful. There are more restaurants over that was as well. Do not go to the Firebrand restaurant... over priced, bad food. All i can say is this is a place to park your rv. There really is no office, so no one to report to. Showers cost 25 cents....i put in a quarter, waiting for water to get warm enough, but it shut off before it even warmed up. My husband tried it and said it never did get warm enough for a shower. Restrooms/showers are very old , not in good shape. There are NO extras here, as i said, a place to park your rv, not worth $28!!!! I read the reviews before coming, not at all sure what those people were seeing that we didn't! Sites were not level. 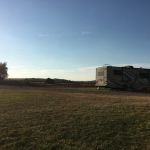 We camped at Y Lazy R RV park in a Travel Trailer. Glacier lodge is nearby, beautiful there. Nice place to stay for a couple days. You park on a grass lawn at a place on the edge of East Glacier Village. Low key, good price, small park. Kind of like you are parking on someone's large lawn outside their house, but not in a bad way, that is just kind of how it is. We enjoyed it. Camping can be hard to come by around Glacier NP. The owner is really laid back. We camped at Y Lazy R RV park in a Fifth Wheel. A unique campground next to the busiest railroad I have ever seen. You get used to it fairly quickly but wow about 3 per hour. The owner did not seem to be around much as other campers came in and needed codes for restroom. According to these campers, couldn't get her on the phone. She did drive around a couple of times and was very helpful. I though the location was beautiful and would stay here again if wanting to see Glaicer NP from the East side. There was no TV reception but our phones and I-pads got good reception. She is working on Wi-Fi but the installers seem to have disappeared. We camped at Y Lazy R RV park in a Fifth Wheel. This is a gem of a little park close to the east entrance of Glacier. Easy to get to and felt completely safe and place nicely maintained. They had a reserved sign on our site, the site was just what we asked for. Did not use their facilities, so cannot comment on those. They can accommodate all sizes of rigs. Now, it is fairly close to the railroad track/East Glacier Amtrak station and some road noise, but did not bother us at all, just ran the AC/fan in the bedroom. Easy access to local restaurants and east side of Glacier NP. We camped at Y Lazy R RV park in a Motorhome. Tons to do in the area. Go early or late to Glacier NP Road to the Sun. A number of good restaurants in little East Glacier. East Huckleberry anything. Great little hometown park. Spacious sites, grassy in the open. Good hookups, but NO hot water at the showers either day. Would stay again if we didn't need shower room. We camped at Y Lazy R RV park in a Travel Trailer. Good, clean park in East Glacier Park MT. We camped against the west fence for shade, lights and water but no sewer connection. $25 a night. We'd camp here again. Strong water pressure. Train noise which is not a bother to us. 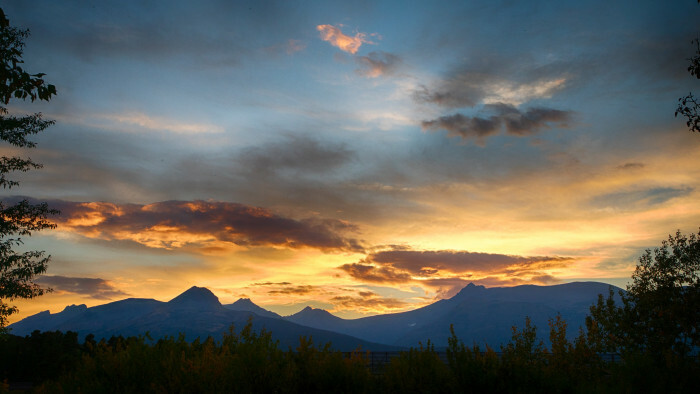 Easy access to Going to Sun road, Two Medicine Camp and East Glacier. Owners very friendly and accommodating. Inner circle with full hookups is gravel. 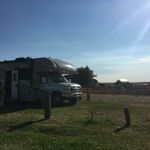 We camped at Y Lazy R RV park in a Travel Trailer. 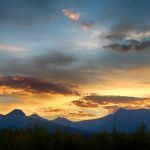 This is a nice campground if you want to visit the Eastern side of Glacier National Park. As you drive into East Glacier Park coming from West Glacier there is a sign for Y Lazy R RV Park that tells you to turn right at the Exxon station. The Exxon station is long gone and there is no indication that there was a fueling station. Follow the signs for Dancing Bear Inn. From US-2 east, turn right at Montana Street then go two blocks to Meade St then turn right. The campground is at the end of this street. All of the streets off of US-2 are gravel. Be prepared to dodge the potholes. The interior loop of this campground is on packed gravel and the sites are on grass. The pull-throughs, located in the center of the loop, have full hookups, with 30 amp electric service. The back-in sites have water and electric only. There is no dump station. The electrical voltage was strong - hovering around 121 volts. The utilities were on the appropriate side. The sites were fairly level. The bathroom and showers were clean but very old and tired. The showers cost $0.25 for an unknown amount of time. The community laundry was very clean. Washers cost $1.50 and the dryers cost $0.25 for 10 minutes. The dryers were very hot. There is no Wi-Fi at this campground but Verizon air card and cell phone worked reasonably well here. There was some train noise at night. According to the owner, this park rarely fills up except on holidays and Indian Days (around July 10). Don't expect the owners to call you back if you leave a message. She mentioned that she prefers you to just show up. We would come back to this campground if we were in the area. Our RV is 32' long. We camped at Y Lazy R RV park in a Fifth Wheel. Just as you turn left onto US-49 from US-2, in the town of East Glacier Park, there is a rail road tunnel that has a height limit of 13 feet. On US-49 just after the turnoff to Two Medicine Lake there is a RV length limit of 21 feet. What a beautiful place to stop! The views are superb. The campsites grass and very level. When we put our leveling jacks down, they barely moved. The owner was very friendly. She came put to greet us, brought me a map of Glacier National Park and gave me tips on places to go. We camped at Y Lazy R RV park in a Motorhome. For a small country park with a lot of land and expansive views, this was a pleasant stop. Also helps to have Verizon 3G access on phone but 4G MiFi wouldn't work. Easy walk to town and over to the huge lodge. Very nice owner, casual park management. Only real drawback to us was the rustic bathrooms, which needed some serious cleaning. Showers are 25-50 cents. Community laundromat available. Will surely be back and stay longer. We camped at Y Lazy R RV park in a Motorhome. Just as you turn left onto US-49 from US-2, in the town of East Glacier Park, there is a rail road tunnel that has a height limit of 13 feet. On US-49 just after the turnoff to Two Medicine Lake there is a RV length limit of 21 feet. Are you affiliated with Y Lazy R RV park ?